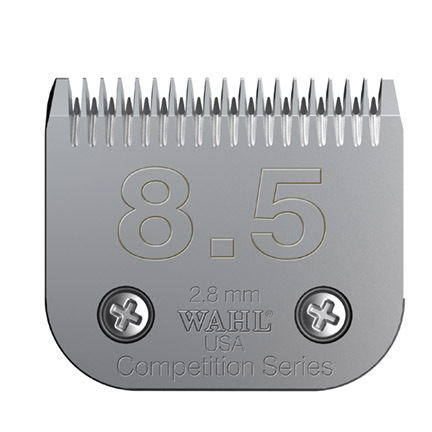 The following Wahl Competition Series clipper blades and accessories will fit all major brand clippers with snap on/ snap off blades. Kit comes with 8 different sized blades, each 3mm apart in size (range of cutting lengths from 3mm to 25mm). 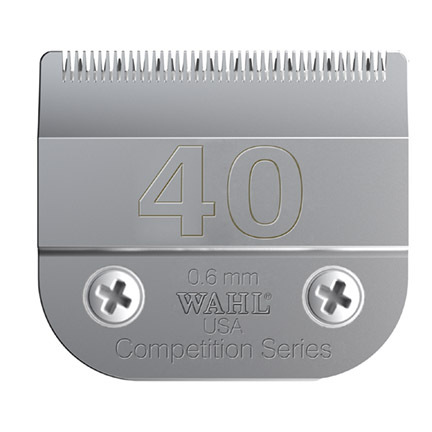 The guides are designed to fit on the Wahl KM-series #10 or #15 blade. Not to used with #40 blade. Please note that using the guides on other brands may cause damage to the guide or the blade teeth. 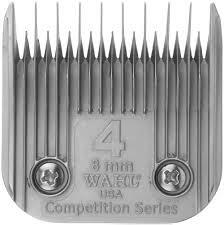 Wahl #1-8 Professional Dog Grooming Stainless Steel Combs. Single blade guide attachments. 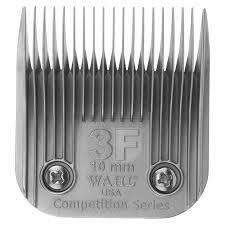 Can be used as replacements for blade guides from Wahl metal grooming guide kit. These blades fit the following Lister clippers: Lister Star clipper, Lister Legend clipper, Lister Liberty clipper and Lister Laser clipper. A2S/AC surgical blade – 0.75mm wide 35 teeth. Leaves 1.0mm of hair. Clips very close to the skin and is suitable for surgical preparation. 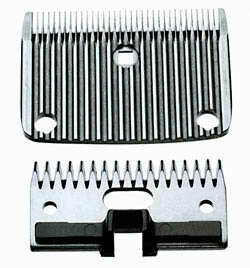 A2F/AC fine blade – 0.75mm wide 35 teeth. Leaves 1.4mm of hair. For close clipping of horses, clipping the heads and underbellies of cattle. A2/AC medium horse blade – 0.75mm wide teeth. Leaves 2.5mm of hair. CA2/AC cattle blade – 0.75mm wide 18 teeth. Leaves 12.5mm of hair. Top and bottom blade. 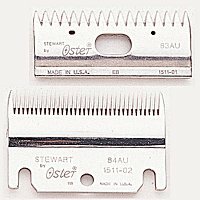 All Oster large animal blades are very good quality and can be used with the following clippers: Oster, Stewart, Sunbeam, Aesculap and Heiniger. 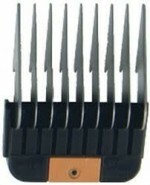 This blade fits the Wahl Arco trimmer plus the Super Groom (Super cordless) and the Bravura clipper (Bellissima clipper). This blade has 5 adjustable cutting positions – #9, #10, #15, #30 and #40. Blade comes in coarse or fine. We can sharpenen these blades at a cost of $16.50. 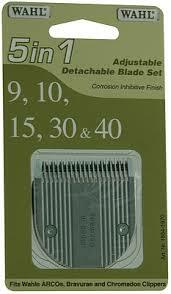 High quality 420 stainless steel grooming scissors suitable for the professional groomer or home enthusiast. All cutting scissors are single side serrated to give maximum grip on the hair while cutting. The thinning scissors are available in both single and double sided versions. Scissor sizes are listed in inches.